Twitter suffered another outage this week that saw users unable to use the social site for over an hour. The problem has been blamed on a “noteworthy double failure in its data centres”, although personally I had my account hacked on the same day and was required to change my password. Call me cynical but that would seem to be one of those coincidences that I don’t believe in. Shares in Facebook suffered again when markets opened on Friday morning, taking a plunge of a whopping 16% to $22.37 per share. However, the social networking site reported an increase in revenue for Q2 of the financial year, showing a growth of 32% to $1.18bn. 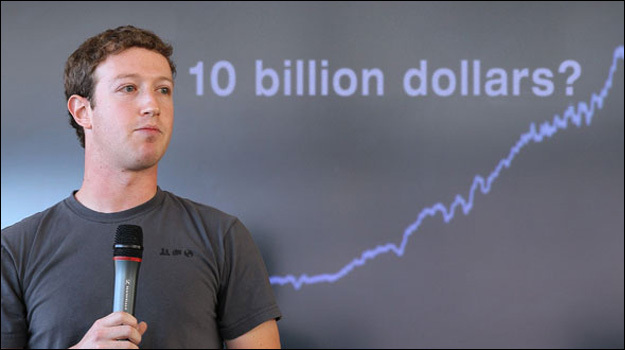 It seems that investors have little faith in the mobile aspect that Facebook are developing to their business, despite a huge rise in those who access the site via a mobile device. However, the drop in shares could be attributed to the losses suffered by Zynga, whose shares dropped below $3 each on Thursday. Zynga blamed platform changes by Facebook for the more than disappointing results, as well as the delays they have faced introducing new games and the disappointing performance of Draw Something, which it acquired in March for around $200m. Video VoiP messaging service Skype has denied claims that it has made changes which will allow law enforcement officials the power to listen in on people’s conversations. Several reports, including from the Washington Post and Forbes, have claimed that the Microsoft-owned company’s recent infrastructure changes have made it a more simple affair to hand over user data. “In the last few days we have seen reports in the media we believe are inaccurate and could mislead the Skype community about our approach to user security and privacy. I want to clear this up,” Skype’s Mark Gillet said in a blog defending the reports. He goes on to say that the allegations are completely false and that “the move to supernodes was not intended to facilitate greater law enforcement access to our users’ communications. Skype has had a team of Skype employees to respond to legal demands and requests from law enforcement since 2005”. Hacker Charlie Miller, the man who proved that Macs too can be hacked, announced a new way of hacking into Android handsets that takes literally minutes, using built-in Near Field Communication (NFC) technology. During a presentation at this year’s Black Hat Hacker Conference, Miller demonstrated how the technology can be used to force phones to visit malicious websites. This allowed him to gather data from affected phones and take complete control of them in order to make calls and send SMS. He did so through the Android Beam function, which is used to send information and links to other nearby handsets. NFC is becoming more and more popular for use as digital wallets and electronic ticketing. “The fact that, without you doing anything, all of a sudden your browser is going to my website, is not ideal,” he told one tech news site. Affected handsets include Samsung Galaxy series and the Nokia N9, or these at least are the ones that were used during the demonstrations; Nokia have said that they are looking into the matter. However, Google, the makers of the Android operating system has refused to comment. Android devices have been beleaguered with security issues over the past year or so and malware designed for the platform continues to rise rapidly. Despite the taking down of large botnets over the past two years, spam has seen a significant increase over the past six months, even though a year ago, following the takedown of the huge Rustock botnet, it had slowed to a trickle. It seems that spammers have recovered though, and the first half of this year has seen a 54.8% increase in spam, with 52.4% new malware discovered and a significant (to put it mildly) increase in virus attacks to 90%. Of course, most of the spam is concerned with pharmaceuticals of a certain kind, but phishing attacks are also on the increase, especially online banking scams and Olympic Games ticket scams. The sites that these phishing attacks take you to are often very sophisticated and look like ‘the real thing’, so it’s wise to check with your bank if you receive any mail and remember that if something looks too good to be true, it is. This isn’t topping any viral video charts (yet) but is doing the rounds on Facebook – the video depicts a Dad who waves off his son on the school bus every single morning without fail. However, this is no ordinary waving dad as he does it every day in a different costume – have a watch, it’s hilarious and that’s one dad that all the kids on the bus must think is the coolest ever. With offices in Leeds & London, My Social Agency is a digital marketing agency specialising in Social Media Marketing, App Development, SEO & Web & Viral video production. Get in touch today to learn more.